Hi everyone! 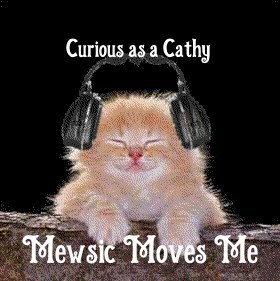 We are joining Comedy Plus’ Awww….Mondays and Mewsic Moves Me (hosted by Curious as a Cathy,Xmas Dolly, JAmerican Spice and Stacy Uncorked.) This week is a freebie to choose your own theme so I choose Valentine. I only have one song, good old Frank Sinatra. My Funny Valentine. And who remembers the episode of Friends when Chandler gives Monica a mixed tape with that song- and Janice’s voice ? Joanie is posing with two of the books I am currently reading. I am too lazy to join the book hop today, but I do highly recommend both of these. 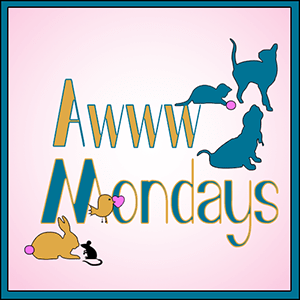 This entry was posted in Blog Hops and tagged Awww Mondays, Frank Sinatra, Joanie, Mewsic Monday, My Funny Valentine by pilch92. Bookmark the permalink. Nobody could sing that as well as “Frank” could! There’s no doubt I like Frank Sinatra but some of the older guys I like better with similar styles like Dino, Andy Williams, & Tony Bennett. I’m not sure if it’s due to some subconsciousness that I felt he had linkings with the mob or what it is but Sinatra never gave me that warm fuzzy feeling as the other artists I mentioned. Who knows maybe Dino and Bennett had/have mob ties. I don’t know but you gotta wonder, huh? I do like ‘Funny Valentine’. That’s a great oldie. You and Marie are on the same page, except she a female candidate from BGT covering it and does a great job at it, too. Thanks for joining the 4M gang on the dance floor. BTW, I love the title of the one book Joanie is sharing, “My Life in a Cat house”. That one made me laugh! 😀 Have a boogietastic day! Frank can sing that one for sure! Joanie filling in for you today… sort of. Looking forward to Penny and her Tips! Yes, Frank owned the song, IMO. Happy early Valentine’s Day. Hugs! He sure did. Happy early Valentine’s Day. We like that Frank dude too! Love the music choices. I love Frank. I’m too tired to do the reading thing today too. A great classic TV moment and the Chairman of the board. What else do you need. Very nice. My sisters sang My Funny Valentine at my wedding. Great song. That is a nice memory. Ahh, the sweet sounds of Frank Sinatra. Much needed after watching some of the Grammy’s last night. I didn’t watch, I am not into modern music. That’s a great song. Our Grandmother loved Frank Sinatra and Dean Martin. They both had memorable songs. Yup, we are Frank Sinatra fans too. That is one great song. I need to get that book, ‘My life in a cat House’. It must be just like our house. You all have a great day. Great friends episode! Hope things aren’t too cold where you are – we are getting a big storm tonight! will stay warm by the fire! Awwww, I do love Frank Sinatra. Thanks for sharing. We are always in the mood for some good Frank Sinatra. Just a lovely voice. My father would play him and Elvis all the time. Great seeing Joanie showing off the books in the cute photo. Thanks for the share. Have a great day. Thank you. I love Sinatra. I hope you had a great day too. HAH! That Friends’ clip was funny. I bet Pop would do that. Yay to Michelle Obama! Oh, Frankie! How i enjoy listening to him. My Life in a Cat House is fantastic!!! Joanie, does your mom read to you ? I hope so. Joanie…I like that one’s title! Hehehehe. I remember Friends….I’m considering watching the series from the beginning yet again! Happy Music Monday! Sinatra is always a good choice! That sounds like fun. although I prefer the first few seasons. I always love Sinatra’s songs. OMC! We do remember that Friends’ episode! Nice post. And a tip from Penny tomorrow? Those are always fun. ~grin~ Be well! Friends was such a funny show. And Frank Sinatra had the most amazing voice! Frank Sinatra made many a girl swoon with that song I’m sure and my mother was one of them. I’ve danced to this tune with my husband believe it or not. When Frank opened his mouth it was love with every tune he ever sung. Golden pipes as I once heard them called. Great tune you have picked. I was never much of a Friends fan, but that little skit was a hoot. lol Great job my friend and have a great rockin’ week. Oh, what a perfect song choice! Frank Sinatra could sing the phone book and make it sound wonderful. Can you believe that I’ve never seen a full episode of Friends? I have Becoming but haven’t read it yet. My late mother absolutely loved Frank Sinatra and so does a cousin of my husbands who will be 40 next year – what an appeal to various generations. And, although I never watched Friends, that clip was hysterical. But mac and cheese with hot dogs – no. Those books look interesting. I’d love to read also. Thanks for rocking with us this week!